Xmas in July is over! Our biannual exchange is complete and everyone turned in their gifts on time! Great job, everyone. :) Go check out all the pretty art if you haven't already! Sapient disbanded mid-July and Inferni is disbanded as of today. Read up on those pack topics to get up to speed! The end of every story is the start of a new one. :O With these closures, pack applications are open once more. Members interested in starting a new pack should read the pack formation rules and guidelines (must be logged in to view) thoroughly, as well as the rest of the leader handbook. 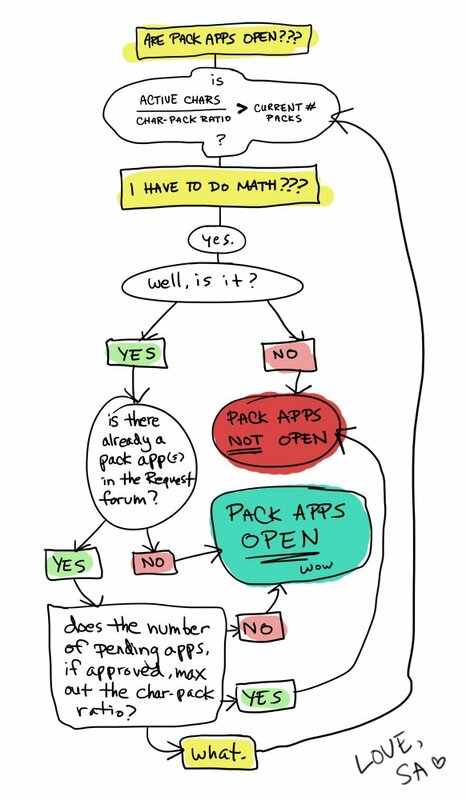 If you have any other questions regarding pack applications and pack formation, feel free to ask. We're here to help! This month's Spotlight Soul is Helena Troy Lykoi (Jace)! Having begun her life in Salsola following her forced abandonment of Inferni, Helena's ambition has become very clear. She has made herself known as a talented chef and seems to have a habit for finding other lost souls in the wild (and bringing some back against their will). With an unusual family and more intrigue yet to be unmasked, it seems as if Helena still has many yet-unknown intentions to be revealed as she rises towards an elite position in her pack. It's a brand new month, so get to voting! It's anyone's game!